The people and organisations trailblazing the way towards a more inclusive and diverse built environment workforce were honoured at an awards ceremony in Manchester last week. 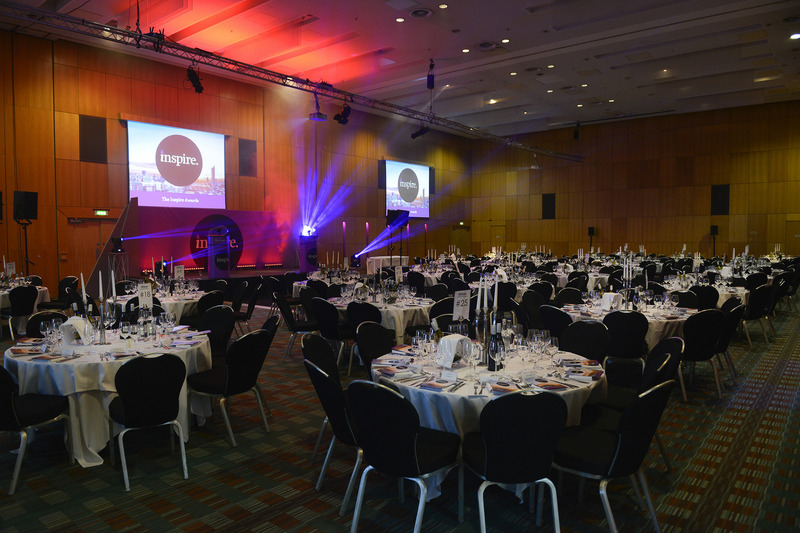 Over 300 industry professionals gathered at the surroundings of the Hilton Deansgate in the city centre to applaud their peers at the Inspire Awards 2018, held on 5th June. The event is dedicated to showcasing and promoting a more diverse and inclusive culture in construction, engineering and housing. The main event was hosted by journalist and broadcaster Marverine Cole, with a welcome address from Harish Bhayani, a senior partner at PRM Diversity Consultants, who also served on the awards’ judging panel. The charity for the night was the Construction Youth Trust. The judges for the Inspire Awards were themselves leading lights from across the built environment. Along with Harish Bhayani, the panel was joined by: Brian Berry, Chief Executive of the Federation of Master Builders; Maria Coulter, Managing Director, Construction Coach; Barry Cullen, Diversity & Inclusion Director, RICS; Peter Finegold, Head of Education in the Engineering Policy Unit, Institution of Mechanical Engineers; Tony Ginda BA (Hons) CMgr, FCMI, Membership Development Director, CABE; Vanessa Howell, Head of Professional Standards, Chartered Institute of Housing; Chris Keast, Chair of the Diversity Special Interest Group, CIOB; Kathryn Lennon-Johnson, Founder, Built Environment Skills in Schools; Carol Lynch, Chief Executive, Construction Youth Trust; Kate Myers, Head of Skills and Employment, HS2 Ltd; Raj Patel, Chief Executive, Housing Diversity Network; Christina Riley, Chair of the Balfour Beatty LGBT and Allies Network; Asif Sadiq, Head of Diversity and Inclusiveness, EY Financial Services UK; Sharon Slinger, Director, Constructing Rainbows; and Livia Williams MBA FIoR, Co-Founder, Women in Roofing. The event was made possible with the assistance of sponsors and supporters: CIOB, Chartered Institute of Housing, CABE, Construction Youth Trust, Housing Diversity Network, HS2, PRM Diversity Consultants, Redrow Homes, RICS, and Whitbread.